I know what you're all thinking, "ANOTHER lipstick post, is this girl crazy? ", well yes I am crazy, very crazy about lipsticks. 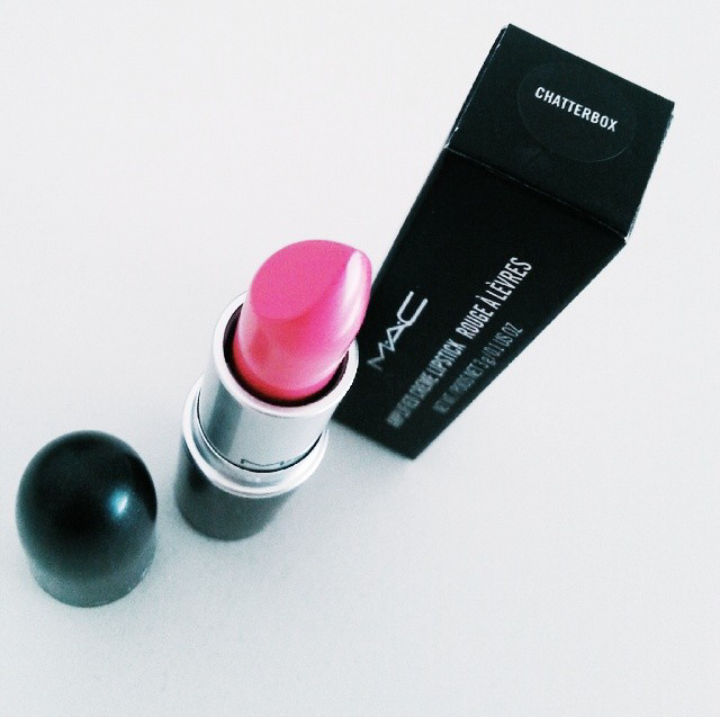 This lipstick is the latest addition to my collection, it is MAC Chatter-box. I wanted a girly pink shade for the summer and this lipstick fit all my criteria. The lipstick comes in MAC's classic silver packaging. It's creamy and light weight on the lips coming from MAC's Amplified Creme Lipstick range. It's a pretty pink, not too bright and neon, which can be a problem with a lot of pink lipsticks. It applies very easily but doesn't have brilliant lasting power and does need to be reapplied every so often. Usually, i apply the lipstick by dotting it onto my lips and then blending it in with my fingers creating a more natural look. I really like it. I would recommend applying lip balm or exfoliating your lips before using this as it can highlight lines on the lips. I think that this colour would work great for a fresh faced look or even a smokey eye look, very versatile. Overall, i have been really liking this lipstick so far and i'm loving the girly vibe it can add to my looks. UPDATE: Have I stopped blogging?